Conventional store-bought avocados are typically 2–7 weeks old by the time you purchase and cut them open. Due to being located in the perfect avocado microclimate, AvoGanic avocados are held on the tree until the day you order. This ensures the highest oil content, unsurpassed freshness, and quality you can see and taste. No other avocado is fresher than we are! 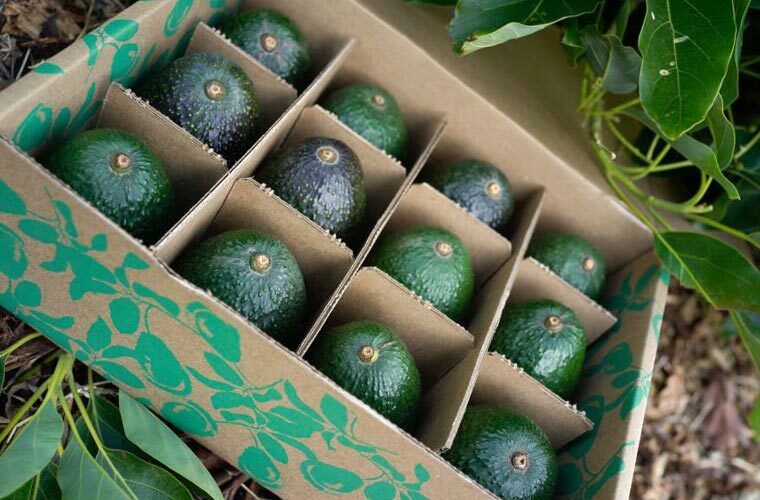 Each avocado is grown and hand-picked to order on a family-owned and operated ranch in Carpinteria, California. Buttery flavor, vibrant green color, fresh and high quality. Not your typical grocery store avocado. 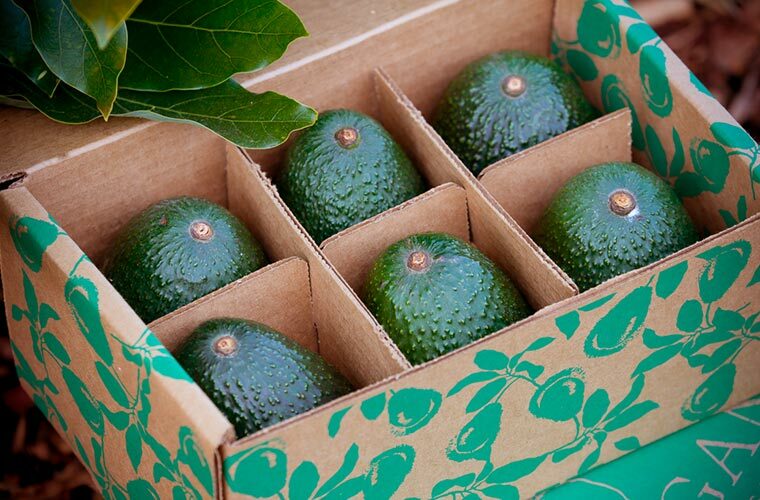 Avocado boxes shipped Monday through Wednesday* via UPS. 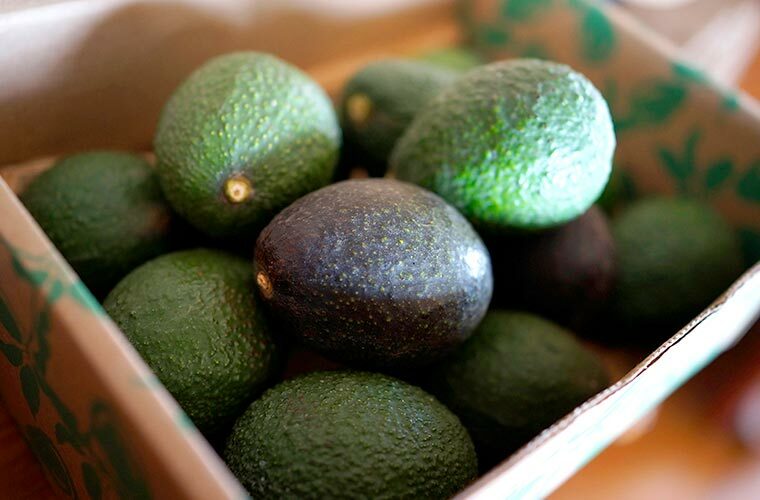 Avocados ship green and will finish ripening on your kitchen counter! *Some shipment locations pushed to following Monday to prevent unwanted guacamole due to transit time and the weekend. 6 large certified organic California Hass avocados grown on our family ranch. Each avocado is 7-9 oz. Hand-picked to order. 12 large certified organic California Hass avocados grown on our family ranch. Each avocado is 7-9 oz. Hand-picked to order. 5 pounds of certified organic California Hass avocados grown on our family ranch. Each avocado is 6-10 oz. Hand-picked to order. Carpinteria is known as the Avocado Capital of the United States, and for very good reasons. We’re situated within an ideal microclimate, where the temperate Pacific coast meets the rich Santa Ynez mountain valley—the perfect location for growing supremely delicious fruit. Quality you can see and taste, organic, freshest fruit, supports local communities, reduce environmental impacts, delivered directly to your door. Enter your email address to receive AvoGanic updates, promotions, and delicious recipes delivered to your inbox!